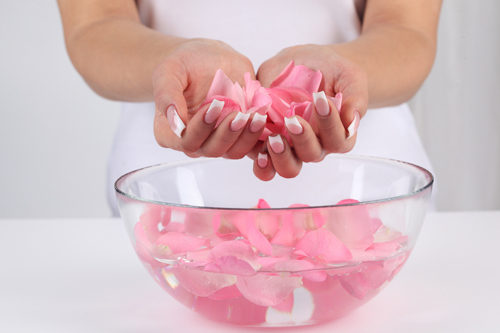 Rose water has always been a part of daily skin care regime for women across the globe. It is a source of natural healing. The vitamins like A and C and its anti-inflammatory properties does the trick here. This oldest skin care and grooming fanda prevent acne and pimples. It can be used after facials and clean ups to close open pores, reduces redness and blotchiness etc. The Indian market is also full of high on purity rose water brands that acts as a perfect toner to get rid of facial blemishes. Below are the top 5 best brands of rose water in India. Have a look! Dabur is one of the oldest and most popular brands of rose water marketed in India. The water is produced with steam-distillation of fresh rose and hence is 100% natural and pure. Moreover, it contains no preservatives, additives, or synthetic ingredients. 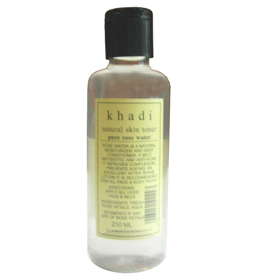 Pure rose water natural skin toner from khadi is one of the best gulab jal in India. It is recommended by beauty experts to be used as toner, moisturizer, makeup setting spray, mixer of face pack, refresher of makeup brushes or as an eye dropper. Fabindia Rose Facial Water is another marketed rose water in India. It is produced thorough stream distillation of flowers thereby extracting its essential oil. The product is 100% natural and is highly recommended by beauty experts across the country. 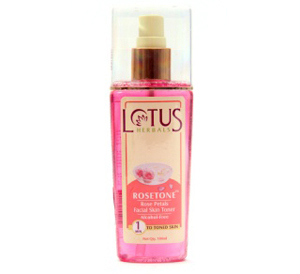 Rose Petals Facial Skin Toner from Lotus is popular for its soothing and effective ingredients like tulsi, aloe vera and rose petals. They effectively revitalize your skin and help you maintain the much required pH balance to keep it hydrated. 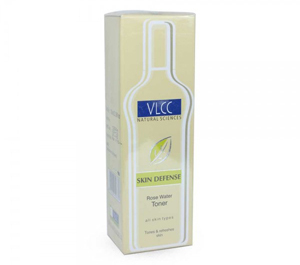 VLCC Rose Water Toner is enriched with the goodness of sandalwood, almond & Indian Burberry extracts known for its deep cleansing, nourishing and healing effects. It has a wonderful facial cooling effect and help balance the pH level of skin. Here are out expert’s collection of the best face cleansing wipes to retain healthy glowing skin in India.